Donors must work with the Afghan government to discourage military use of schools and make funding for schools contingent on Afghan government commitments that donor-supported schools will not be used by Afghan security forces. “Their blood wouldn’t wash away… So we had to chip it away from the wall with an axe,” a school official told Human Rights Watch, describing the aftermath of a Taliban attack on Afghan security forces who had occupied a school in Postak Bazaar village, in Baghlan province in 2010; several policeman were gunned down inside one classroom. By 2015, the school was once again occupied by government forces while students tried their best to continue their studies. School officials managed to get Kabul authorities to write a letter ordering the military forces to leave, but the commander ignored the order. When the students needed to take exams, school officials again presented the letter to the commander. Officers fired their guns in the direction of the assembled teachers and students. 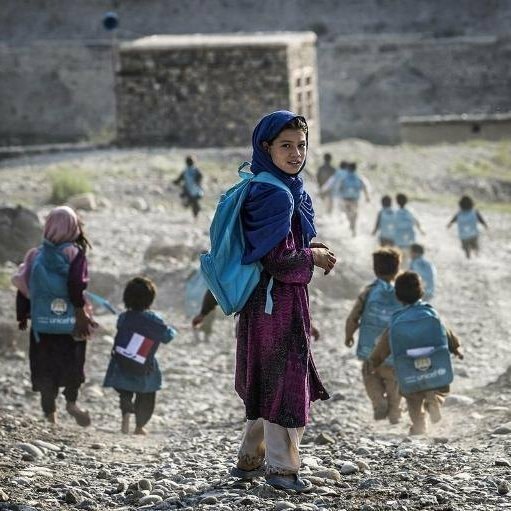 In an investigation during 2016, Human Rights Watch found that Afghan security forces are increasingly using schools as bases during military operations against the Taliban, including schools supported by international donors. Our report “Education on the Front Lines: Military Use of Schools in Afghanistan’s Baghlan Province” documents the occupation and other military use of schools by state forces and the Taliban in the northeastern province of Baghlan. Military use of schools turns school buildings into possible targets of attack, and puts children and teachers at risk of being injured or killed. Even if the buildings are not damaged or destroyed, military occupation interrupts children’s education. One key achievement of the Afghan government since the Taliban rule has been the increase in girls attending schools, but these gains are now at serious risk. Parents are much less likely to allow girls to attend school if soldiers are using the facilities, which disproportionately hinders girls’ access to education. Schools should be safe places, even in the midst of conflict. 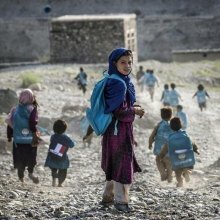 The use of schools by military forces may run contrary to the global Safe Schools Declaration, the political commitment endorsed by Afghanistan in 2015. The Declaration outlines concrete steps that countries and their armed forces can take to make it safer for children to go to school. One of these commitments is to use a set of guidelines for armed forces to minimize the use of school or university buildings for military bases or barracks. To date, 57 countries have joined the Safe Schools Declaration, opened for endorsement in Oslo on May 29, 2015. The government of Argentina will host a second “Safe Schools” conference in March 2017 to discuss the implementation of the Declaration. In return for this assistance, the Afghan government agreed to 24 reforms ahead of the conference. The reforms included President Ghani’s focus on economic development, the extractives sector, reducing corruption, and women’s rights. Donors called on the Afghan government to take steps to increase access to education for girls and to protect the human rights of children, but there was no mention of the military use of schools by Afghan security forces. Also absent was mention of attacks on healthcare facilities, attacks on media and human rights defenders, impunity for war crimes, use of child soldiers, or the alarming increase in civilian causalities, particularly children, who are the fastest growing group of civilians killed and injured in the conflict. Donors must work with the Afghan government to discourage military use of schools and make funding for schools contingent on Afghan government commitments that donor-supported schools will not be used by Afghan security forces. They must also work with the Afghan governments to ensure the implementation of its commitments under the Safe Schools Declaration. Furthermore, donors have a responsibility and obligation to hold the Afghan government to account for rights violations, to ask the hard questions, and to press the government to take concrete steps to protect human rights, especially those of children. Sadly, the Brussels Conference seems to have been another missed opportunity.